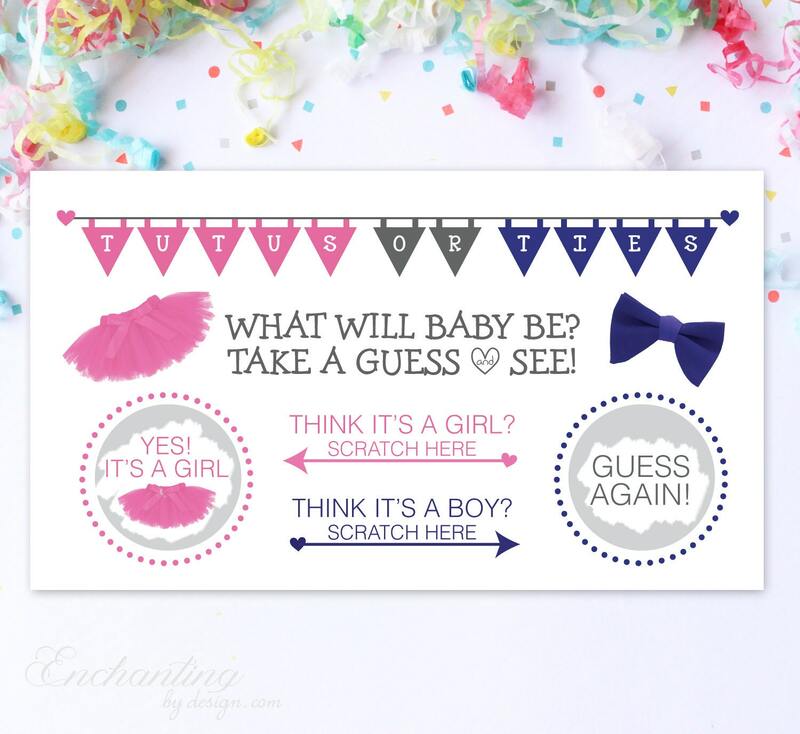 10 Baby Gender Reveal Scratch Off Cards -Guess the gender Tutus or Ties? They are so cute! 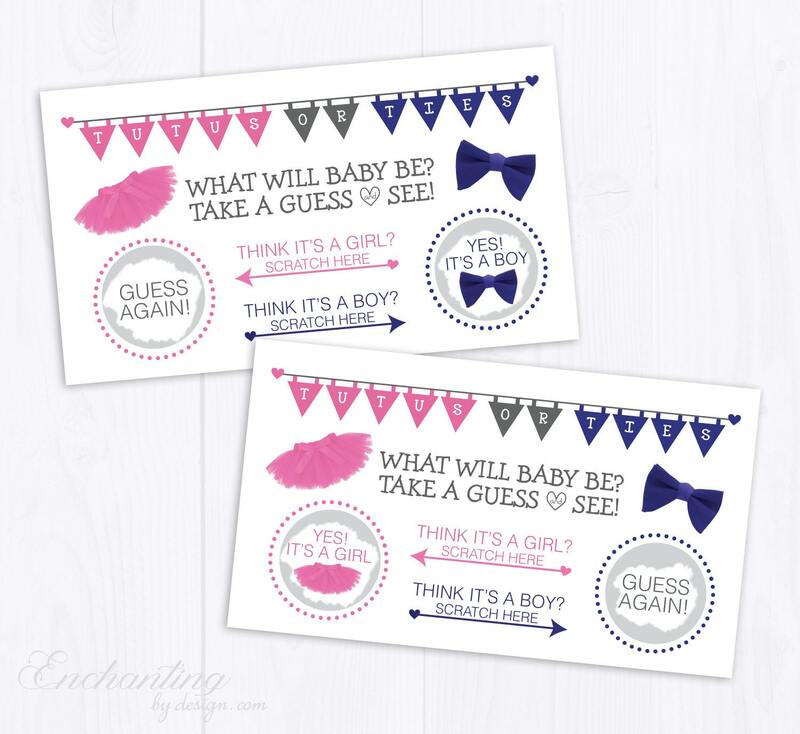 They are perfect for mailing to family for my Gender reveal!